You will find that our House Clearance rates are competitive with the price of hiring skips but remember that we do all the hard work moving all your unwanted waste and then we take it all away without you having to wait for the skip company to pick up. Save yourself the hassle and mess of moving all your rubbish leave the job to us and take the day off as we get into action and remove everything that you want us to. House clearance skip update - Since the government have increased the land fill tax the price of skips has risen considerably making our house clearance service look even better value and still saving you time and hassle ! Evergreen House Clearance's are organised so as to be 100% efficient in terms of recycling the waste that we carry from your property. You call us or fill in the contact form above. We give you a full clear quote for all work that you want us to carry out. We arrange a mutually agreed upon time for the work to be carried out. At the set aside time we appear and we don't stop until the project is completed. .Evergreen House Clearance offer a 48 hr turnaround surety on all your work. We will provide you with a team of professional, polite, uniformed House clearance specialists who will provide you with a rapid and efficient service whether your property is an empty rental apartment, your own home or the house of a deceased relative. We clear all types of house clearance and property clearance Including:. Garden Clearance and Tidy Up. Rubbish Removal and Environmental Disposal. One Off Property Deep Cleaning. We are fully licensed for your house clearance work. We are fully insured for your house clearance work. We are registered and approved by the Environment Agency. 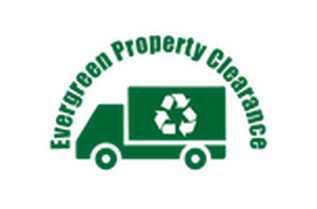 We recycle up to 90 % of your items. We are uniformed and professional at all times. We are properly and meticulously trained in house.